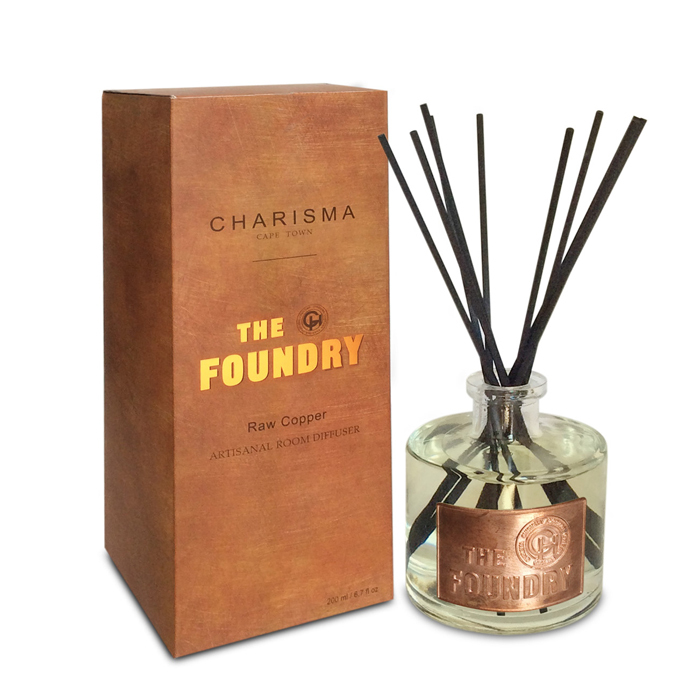 The Charisma Foundry collection has grown with the addition of 2 stunning new scents in addition to Raw Copper namely Oudh and Marine. 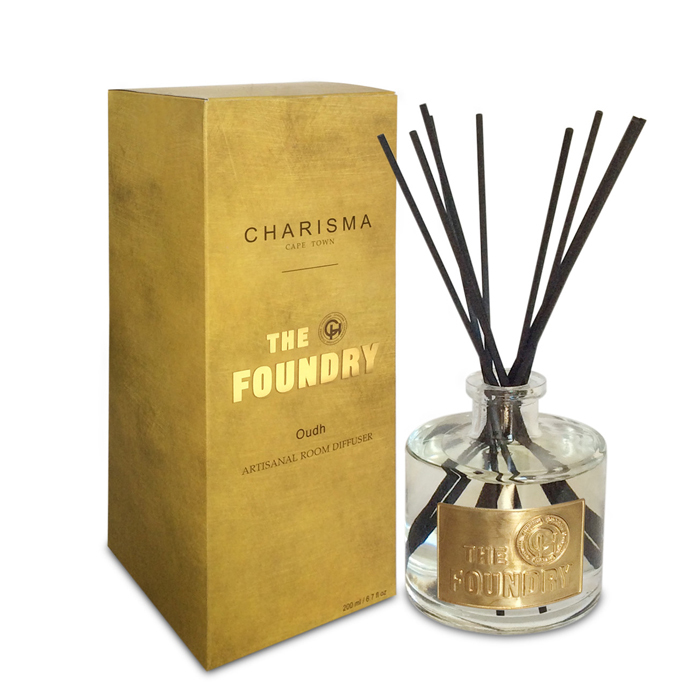 All Foundry products are richly scented with their signature fragrances that will imbue your space with raw sophistication and opulence. 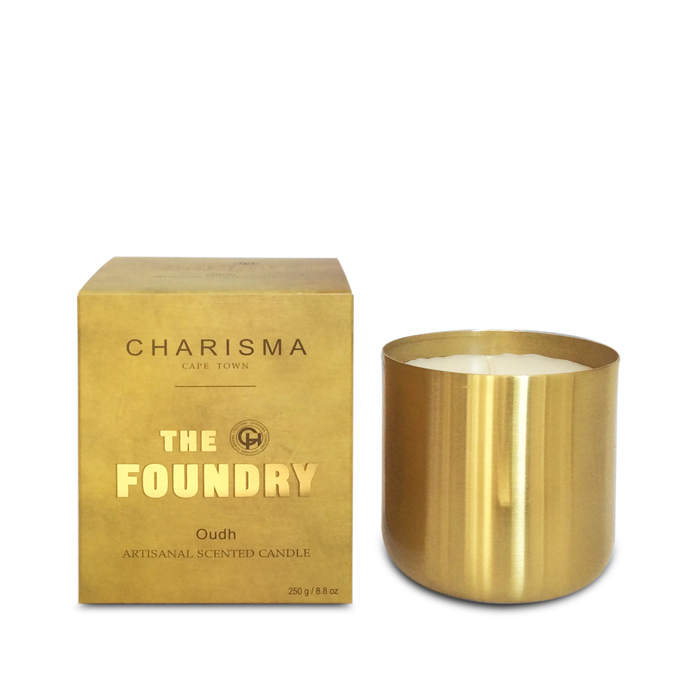 Both our candles and diffusers are made using the finest fragranced oil imported exclusively for Charisma. 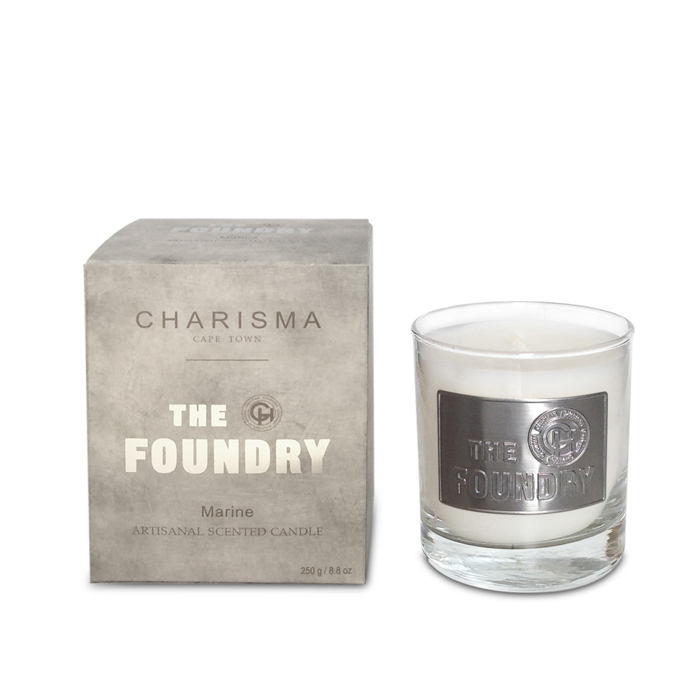 Only 100% cotton wicks are used in the production of our candles which are hand poured using the finest quality natural wax blend. 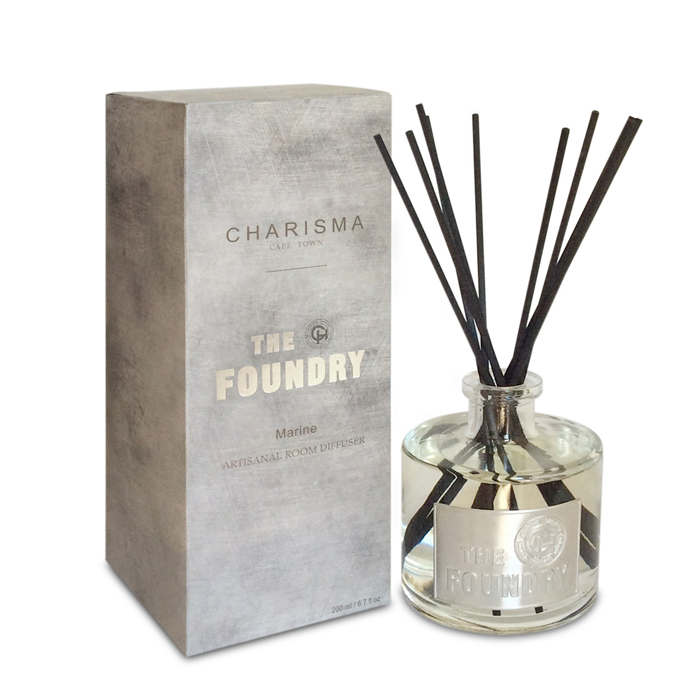 Innovative technology in the form of highly absorbent fibrous diffuser reeds are used in these Charisma Foundry diffusers. 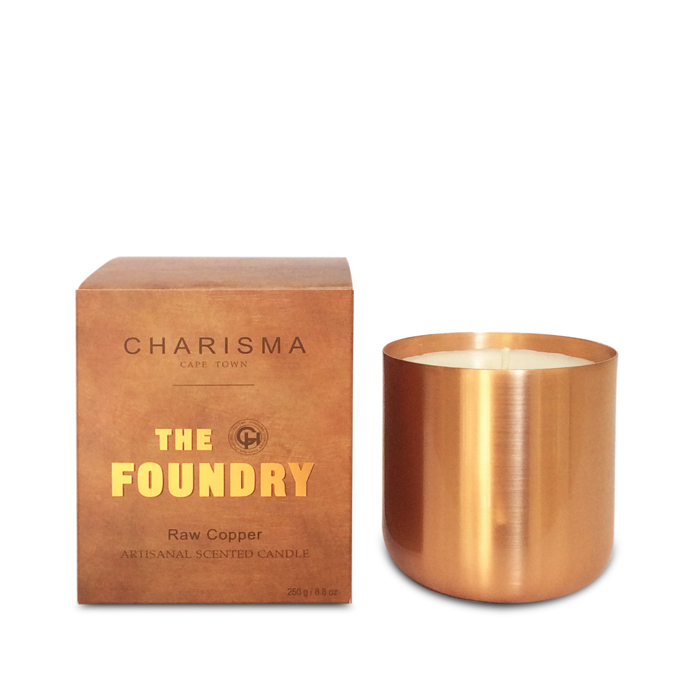 Our Raw Copper scented Foundry products made from raw resilient materials emit the rich earthy fragrance of Raw Copper with their sensuous warm oriental woody blend of Cedarwood and Patchouli and warm balsamic notes of vanilla and myrrh. 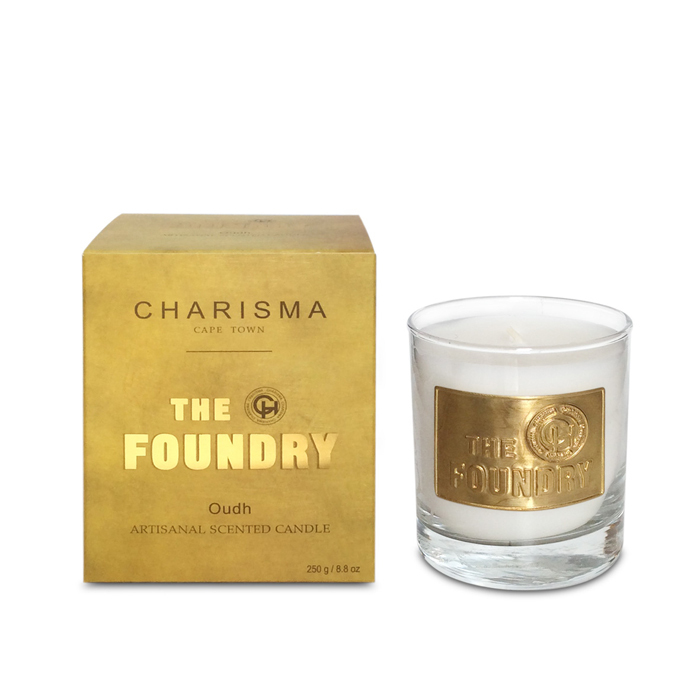 New to the Foundry range, our Oudh Foundry candles and diffusers emit the sweet, woody and aromatic fragrance of Oudh. Much prized in the East where it is known as “Liquid Gold”, Oudh has a distinctive musty, dark, rich and exotic fragrance derived from the resin of the Agar tree, the rare ancient “Wood of the Gods”. 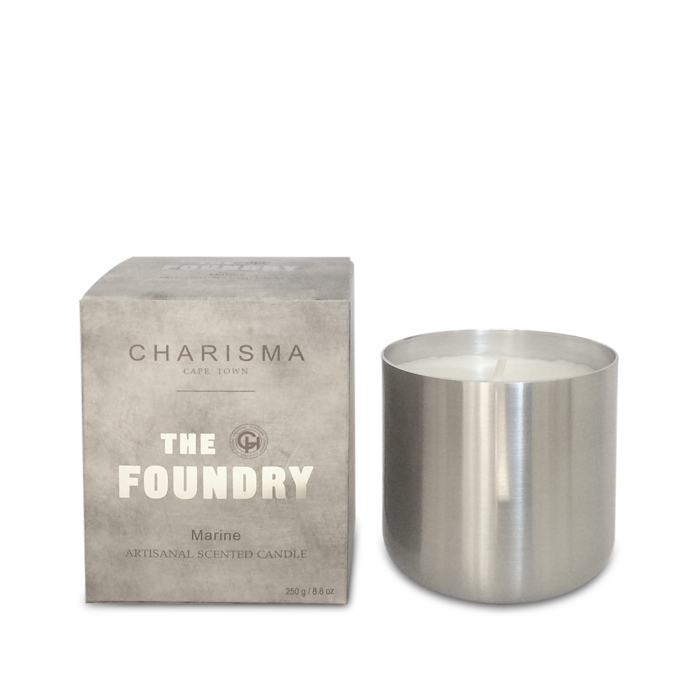 Also new to the range are our Foundry Marine candles and diffusers with their clean uplifting ocean scent evoking memories of bracing walks on a windy beach, swirling fresh air tinged with salt, waves crashing on the shore and the exhilarating feeling of freedom. 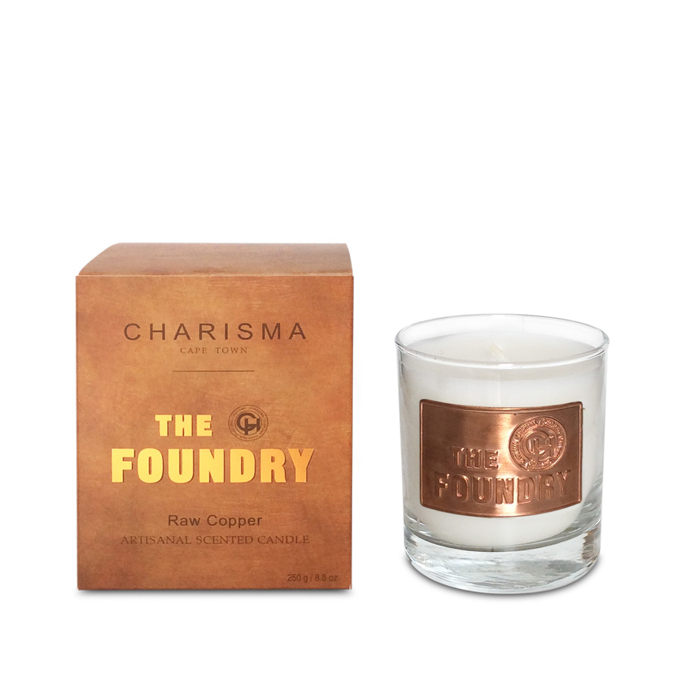 Its fresh clean fragrance combines notes of citrus and sea air with green florals and sea moss that will conjure up the freshness of the ocean.